UPDATE TO BOARD CALENDAR: Date change for next regular board meeting. At the April 11th board meeting, the board voted to move the next regular board meeting to Wednesday, May 8th at 5pm in Liberty Hall at the Roseville Campus. Interested in Teaching for John Adams Academy for 2019-20? Stay informed of opportunities for parent involvement and connect with our various committees within the Parent Service Organization! 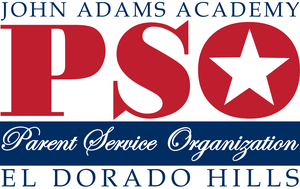 Interested in Substituting for John Adams Academy - El Dorado Hills? We are looking for those willing to teach the next generation of servant leaders. If interested, please contact Karen Hansen at karen.hansen@johnadamsacademy.org or 916.888.1382.